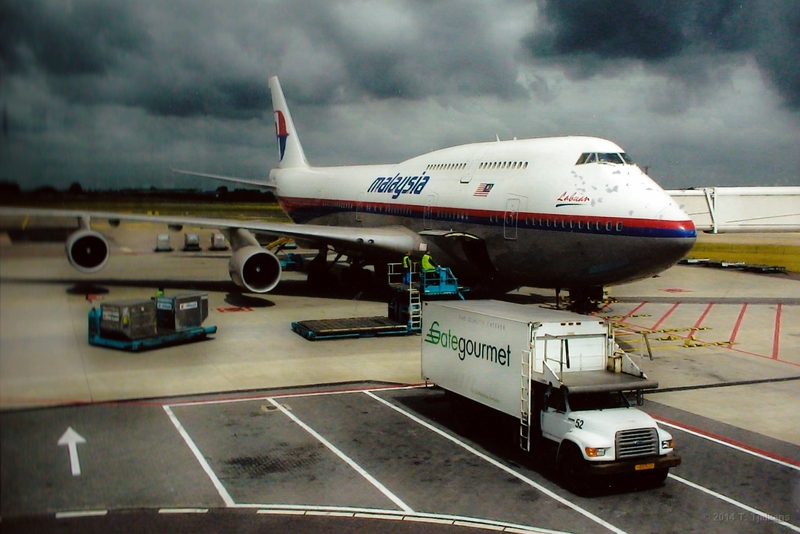 1 Leaving on a rainy day from Schiphol Amsterdam with Malaysia Airlines. Very modern plane with a nice crew. 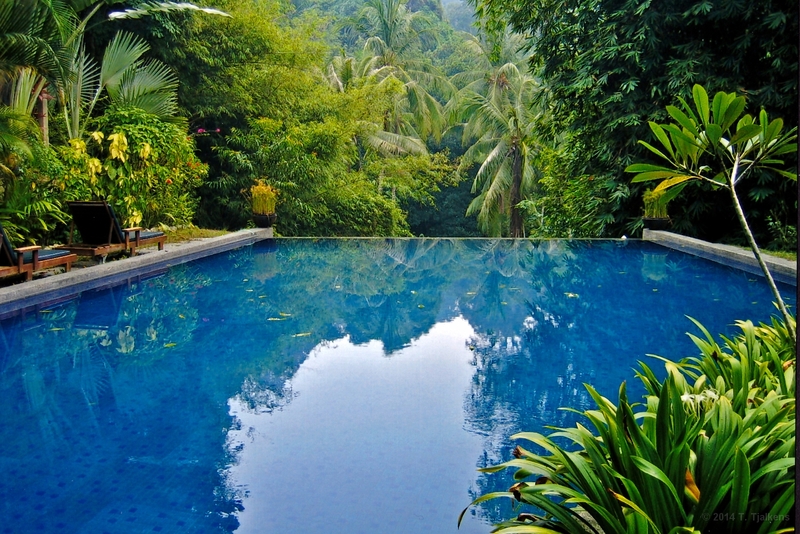 2 The beautifull swimmingpool of our jungle lodge near Tiger Rock. Pulau Pankor. 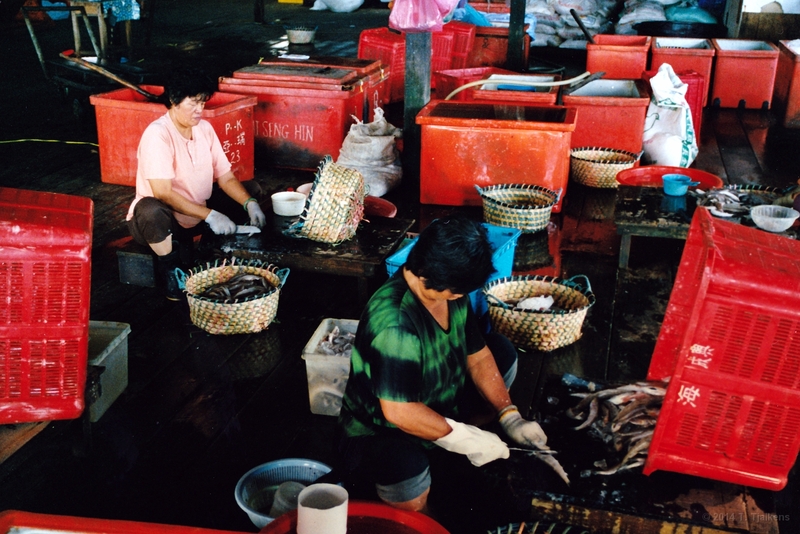 3 Women are cleaning the catch of the day in the harbour. 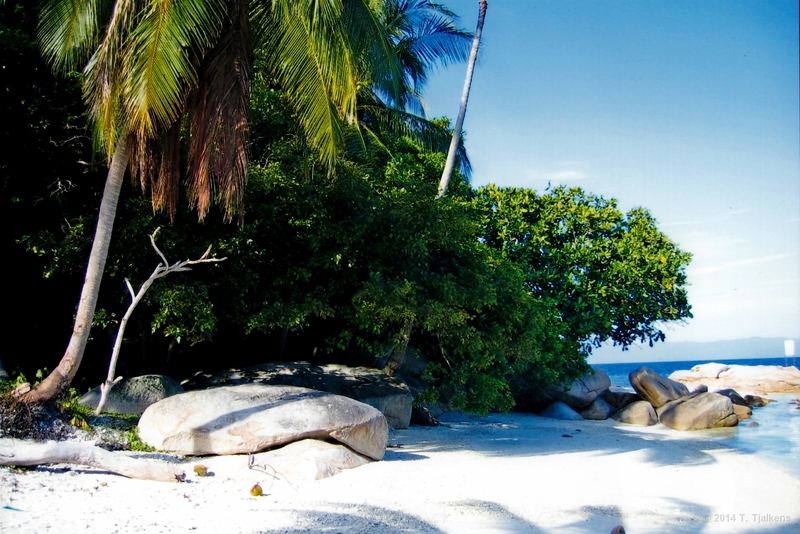 Pulau Pankor. 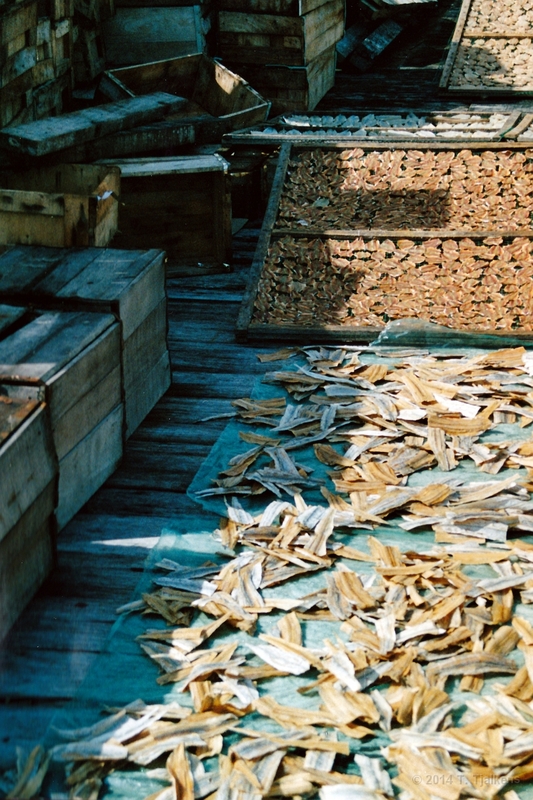 4 After cleaning the fish they will let it dry in the sun on the docks. 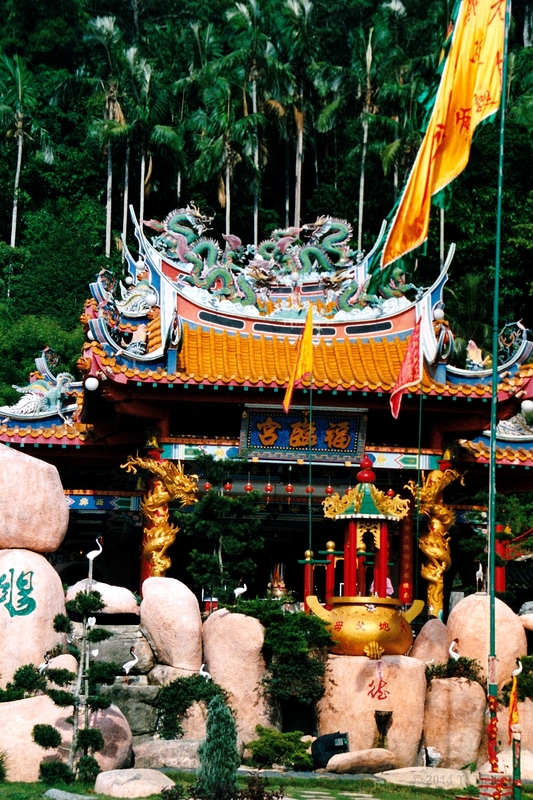 5 A very colourfull Chinese Buddhist Temple on Pulau Pankor. 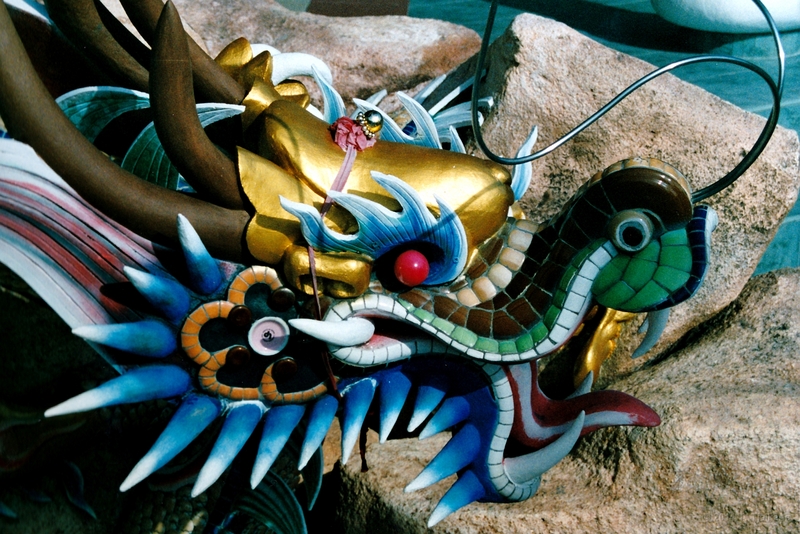 6 Detail of a dragons head in the Chinese Temple. 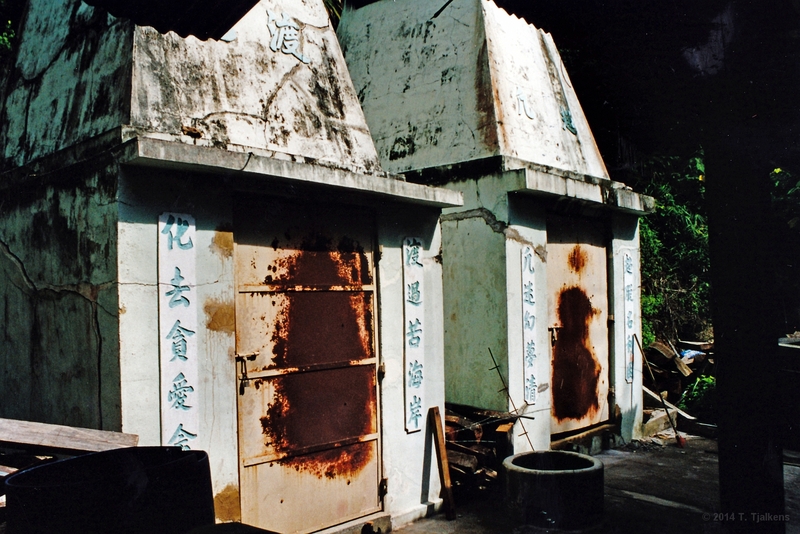 7 Chinese crematory near the Chinese graveyard. 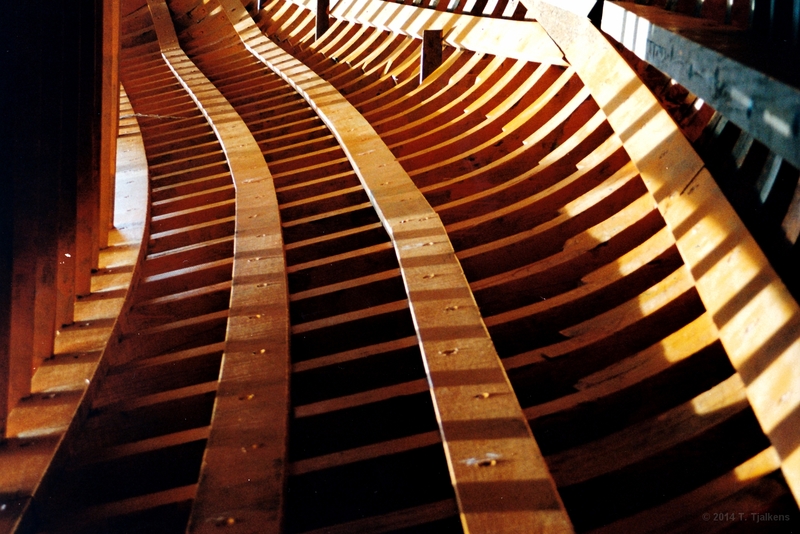 8 Detail of a new ship in the shipyard near the harbour of Pulau Pankor , this ship is made of teakwood. It's very expensive, you will pay more for this ship then for an average house in Malaysia. 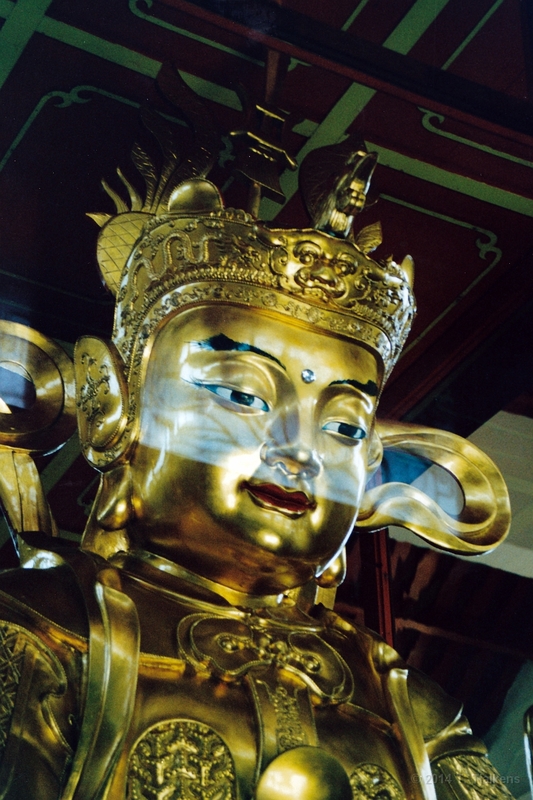 9 Detail of the beautifull Cheong Fatt Tze Mainson. 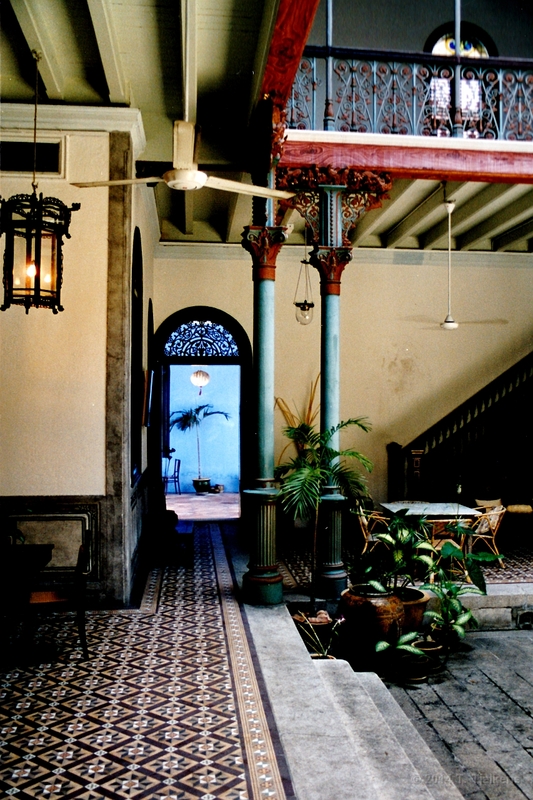 Former house of a very rich Chinese trader. Georgetown, Penang. 10 The inner court from the Cheong Fatt Tze Mainson. 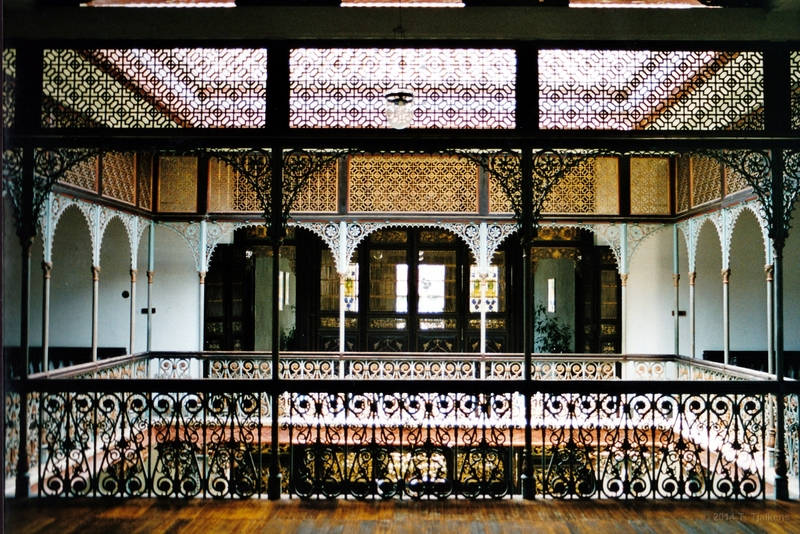 Take a good look at all the beautifull wood carving. Georgetown, Penang. 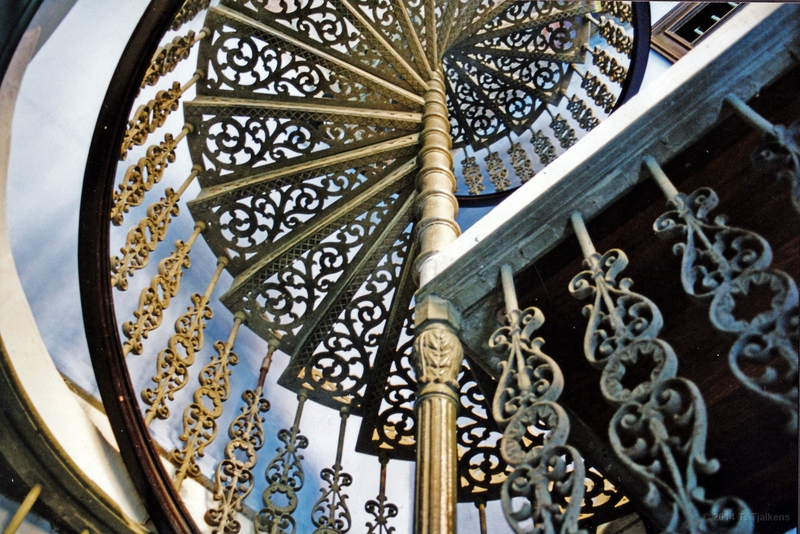 11 Iron winding stairs in the Cheong Fatt Tze Mainson. 12 The outside from the beautifull Cheong Fatt Tze Mainson. 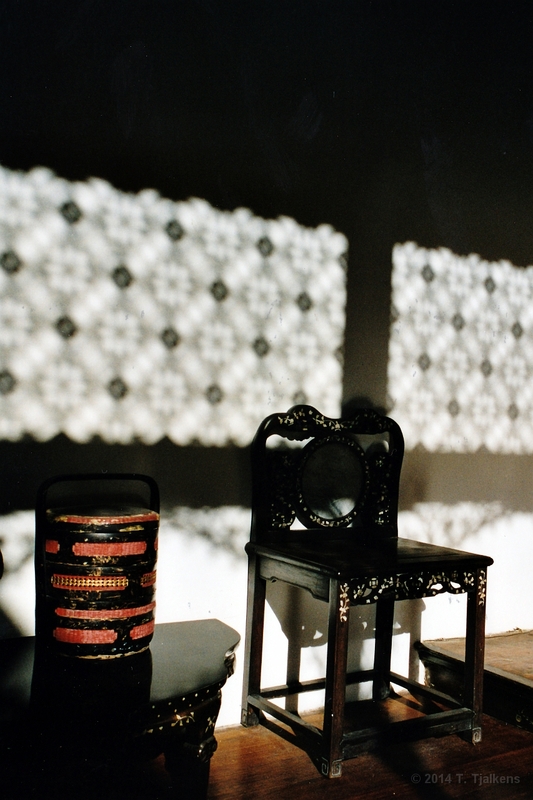 13 Chair in the Cheong Fatt Tze Mainson, the shadows are from the wood carving. 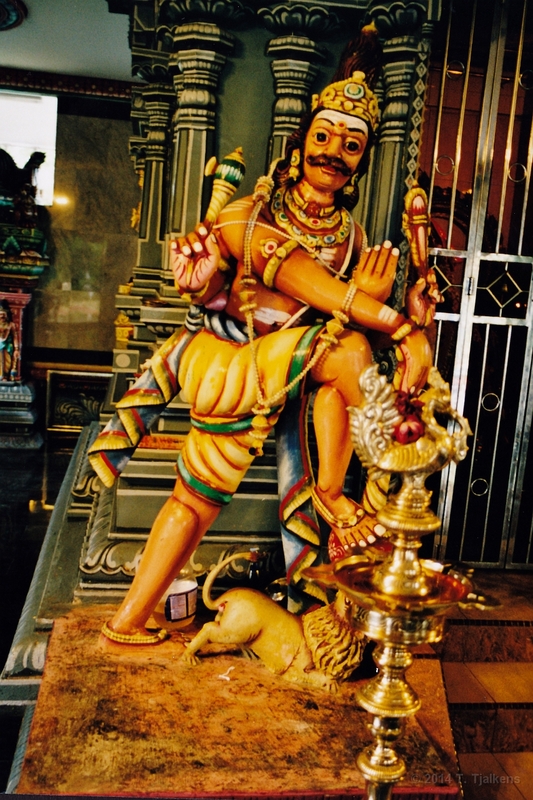 14 Statue of Vishnu in the Nattukotai Chettiar Hindu temple on Penang Hill. 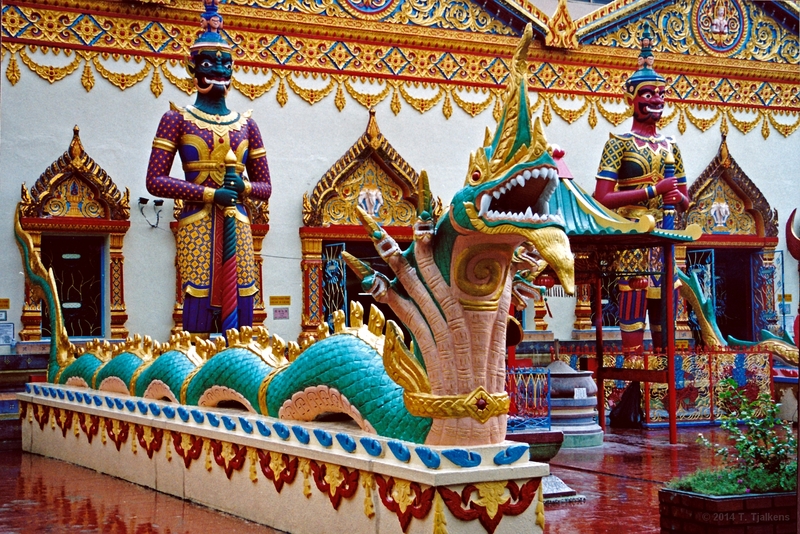 15 The Buddhist Temple Wat Chaiya Mangalaram, there are many beautifull statues of Lord Buddha. Georgetown, Penang. 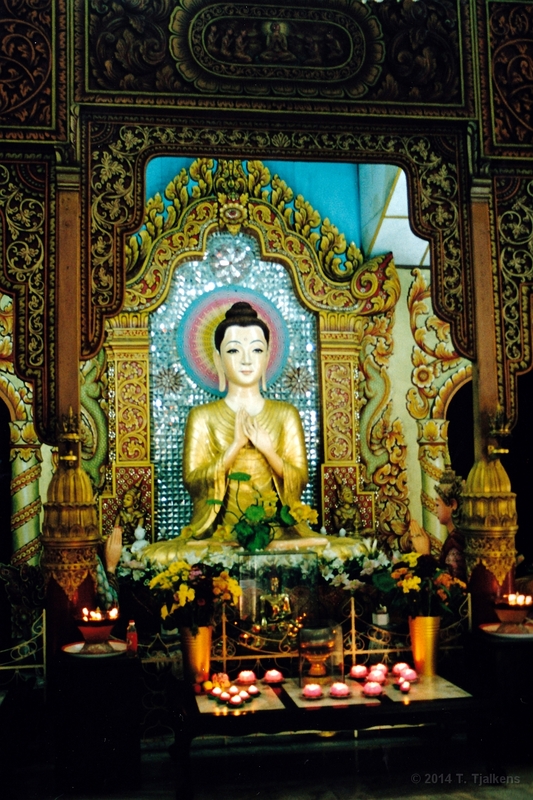 16 Statue of Lord Buddha in the Chinese Buddhist temple. 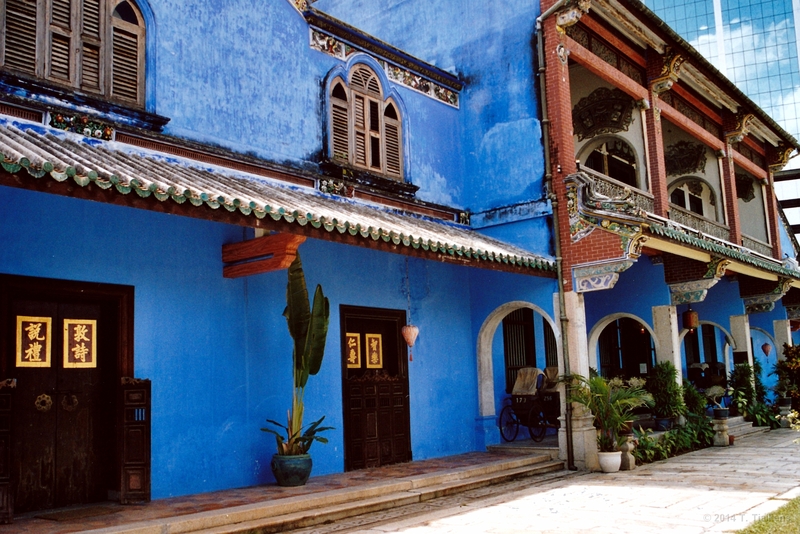 Georgetown, Penang. 17 View over the tea plantations with one of the many tea estates. 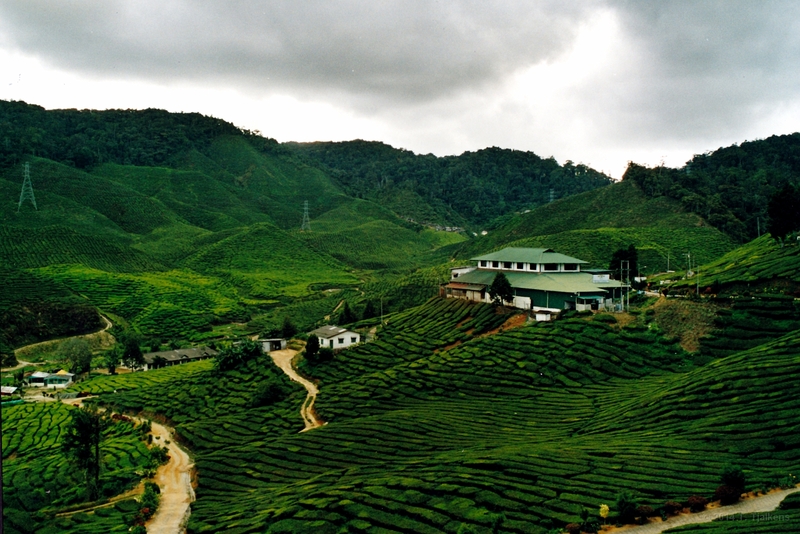 Cameron Highlands. 18 The very modern and impressing downtown of Kuala Lumpur. 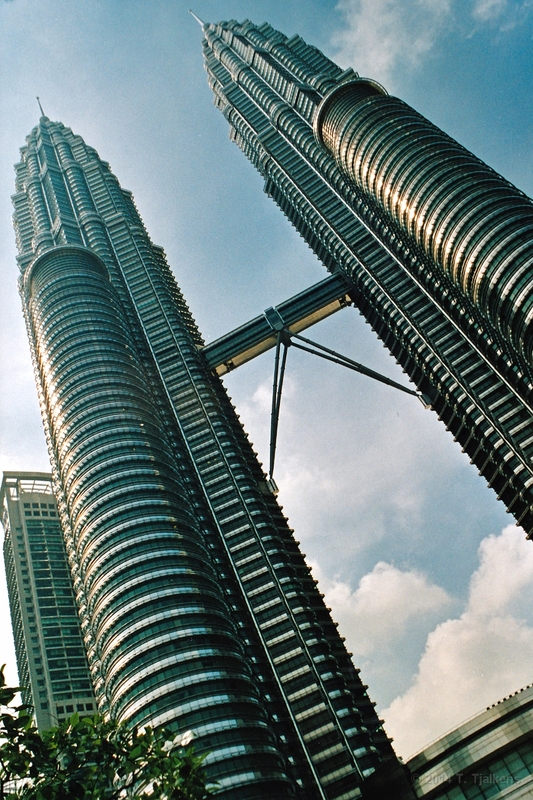 19 The famous Petronas Towers, build for the Petronas oilcompagny. 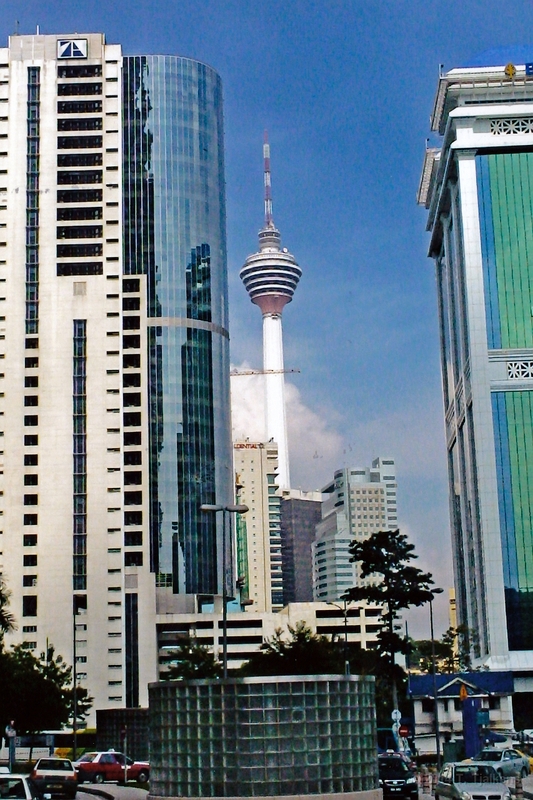 Kuala Lumpur. 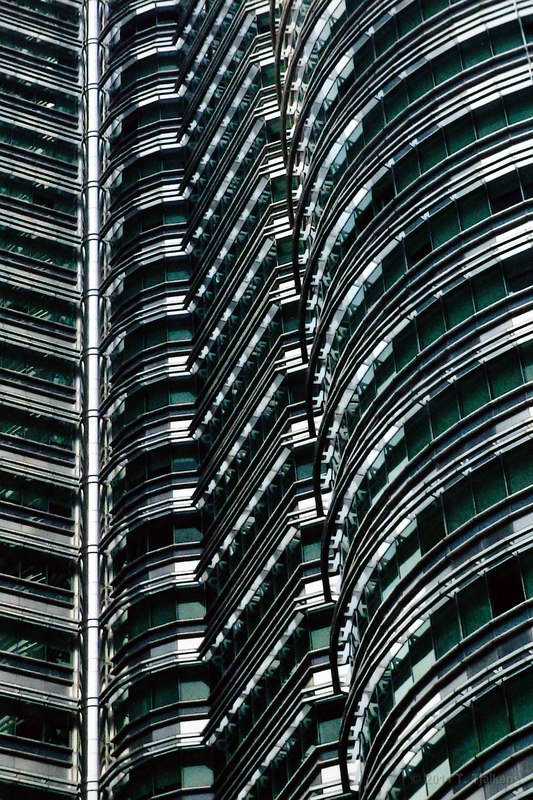 20 A closer view of the Petronas Towers. 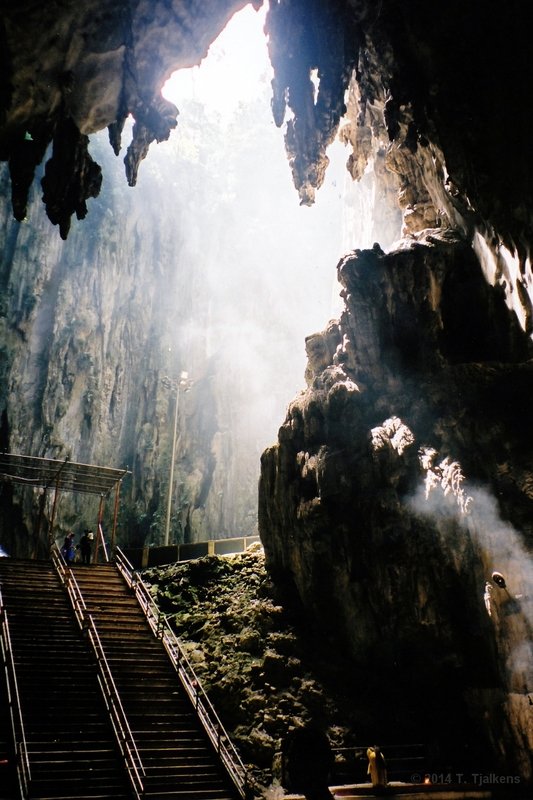 21 The Batu Caves, this is a holy place for Hindi. To reach the caves you have to climb a very long stairway. Near Kuala Lumpur. 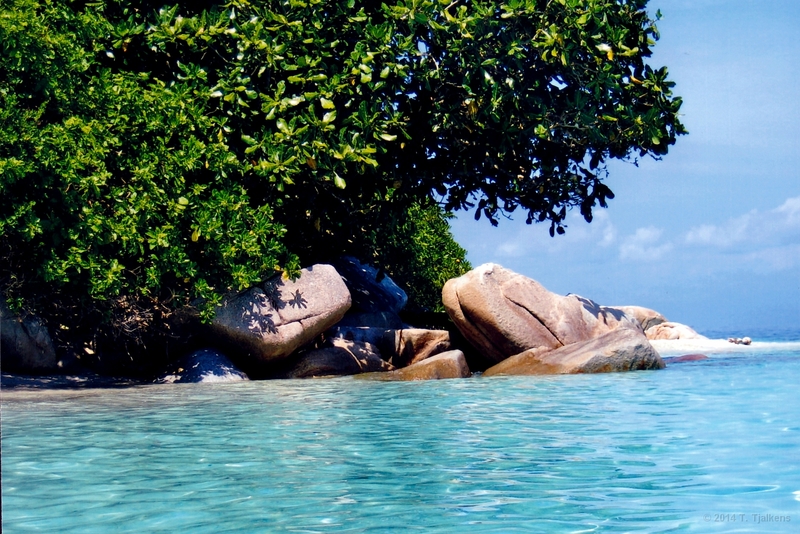 22 Beautifull beach with in the sea a great coralrif and lots of fish. Pulau Laut Tengah. 23 We did see seaturtles and rifsharks in this very clear water. 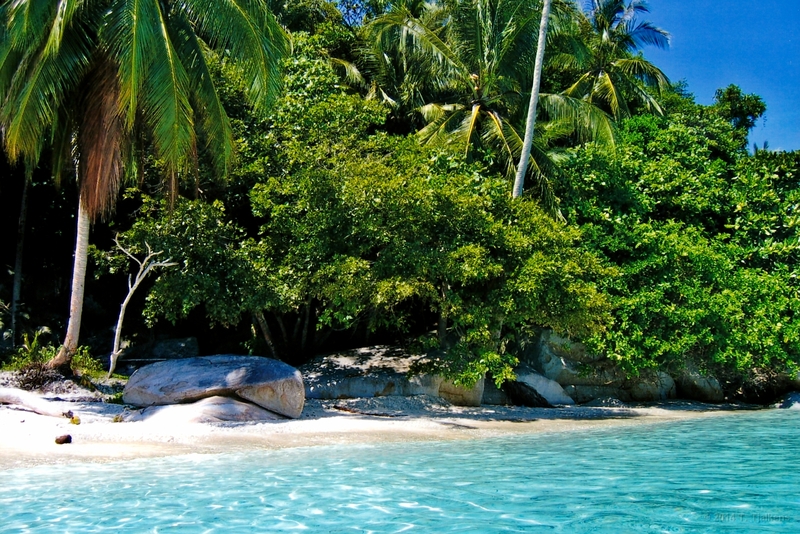 24 White sand, sun, a chrystalclear sea, palmtrees.... Now that is what i call holiday. Pulau Laut Tengah. 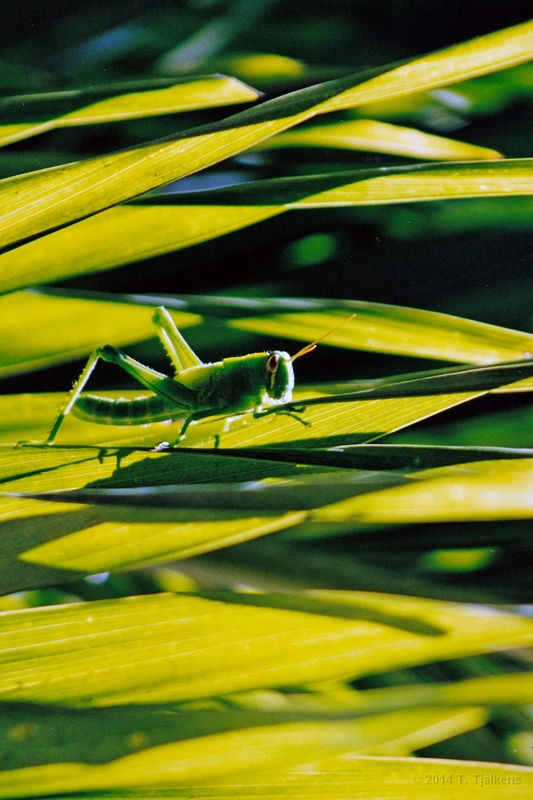 25 A grasshopper in the tree near our lodge. Pulau Laut Tengah. 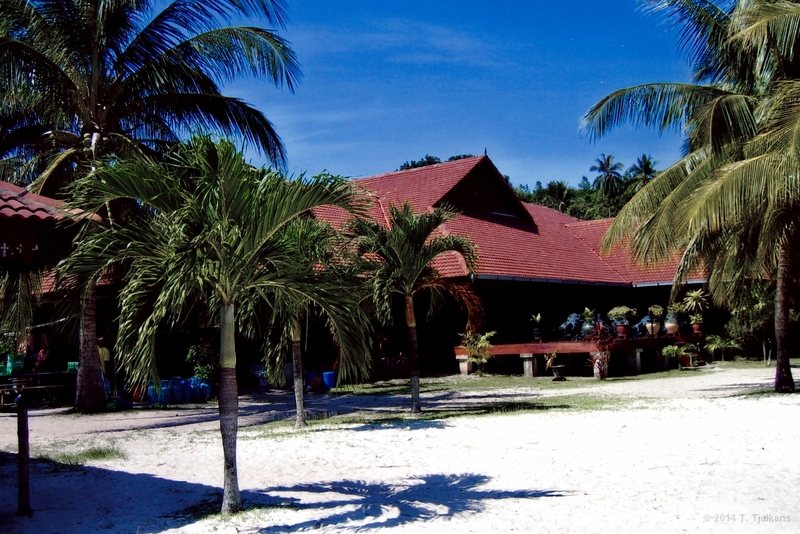 26 Central building of the Blue Coral Beach Resort, here you can have a great meal with a cold Tiger beer. Pulau Laut Tengah. 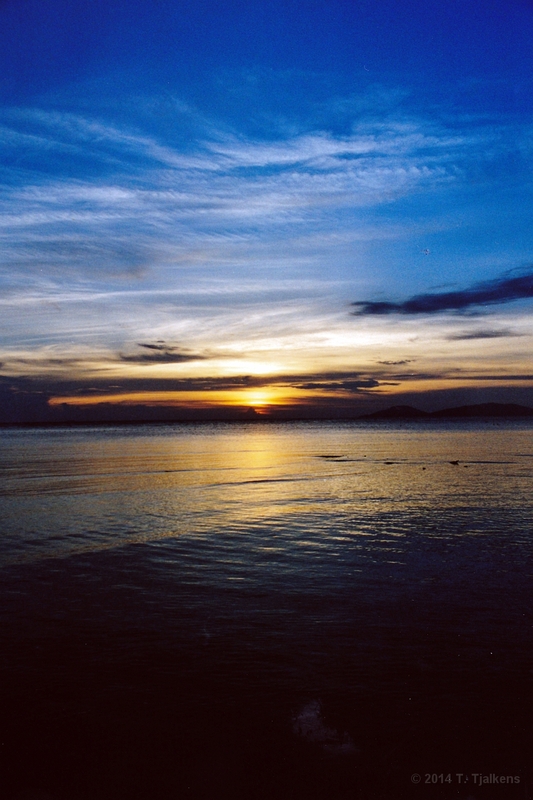 27 Sunset on the island of Pulau Laut Tengah.